First produced in 1917, the Converse Chuck Taylor All Star high-top shoes were made famous by basketball player Chuck Taylor. The canvas All Star shoes are a popular choice with teens for their casual style and enduring retro appeal. 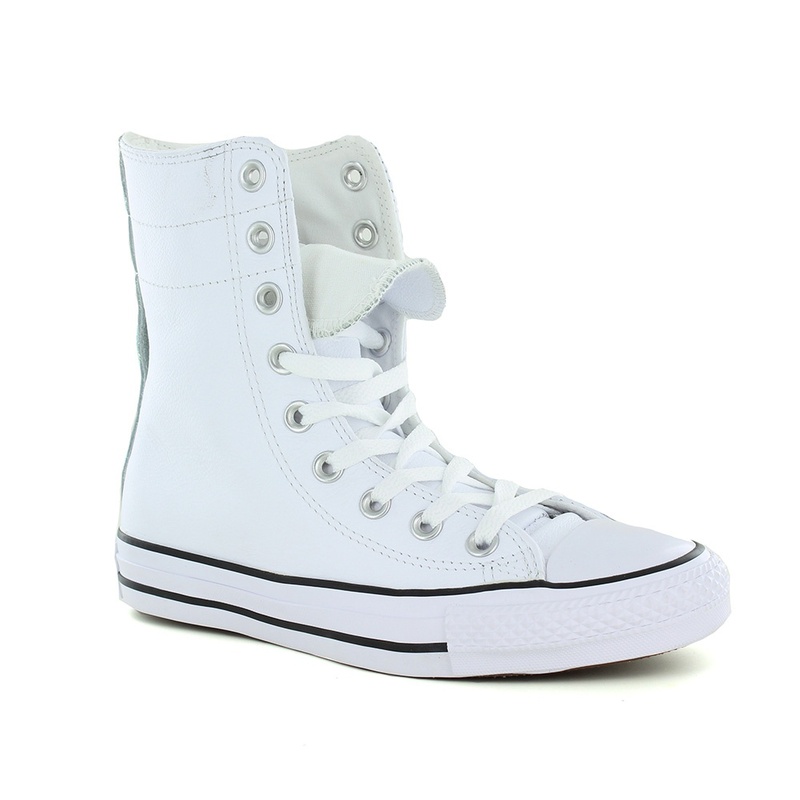 The distinctive design of Converse's basketball shoes are a stylish and practical choice for women! With a leather upper, the Converse Chuck Taylor All Star's have a protective rubber toe-cap that adds greater durability and strengthens the shoe. From here the lace-up runs up the front of the shoe, fastened with flat, white laces and lined with a parade of silver metal lace eyelets. The instep of the canvas basketball shoes are branded with the 'Converse All Star' emblem over the ankle and two breathable eyelets near the sole that allow air to circulate around the foot.